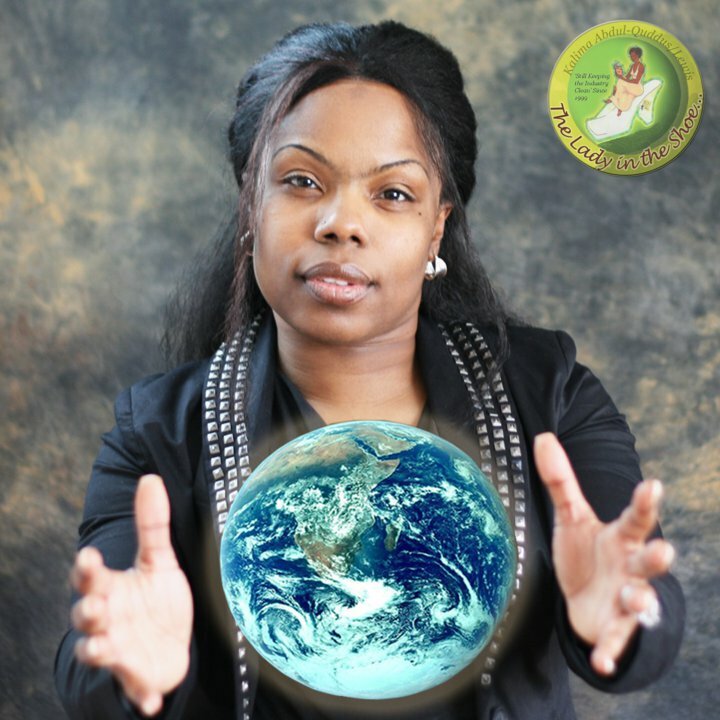 Talk about having the whole world in your hands; Ms. Kalima Lewis most certainly does, and she is “Living Her Life Like It’s Golden” too. Just check out the intro to her very creative company website called Lady in the Shoe Productions and you’ll see what I mean. Kalima’s multi-faceted company is a full service Business Consulting firm that offers such services as Product Brand Development, UBER Event Promotion, Marketing and Publicity Campaigns, Book Publishing and Support Services, Document Preparation and Deal Negotiation. Bronze caught up with Kalima to unlock some of the keys to her success. BM: Hello Kalima, it’s so nice to meet and speak with you today. Please tell us about your company Lady in the Shoe Productions and your role there. Your company has such a unique name, is there a special meaning behind it? KL: Thank you very much Shawn for the opportunity, I am delighted to have the invitation. I am the CEO of Lady in the Shoe Productions; we are seasoned business professionals with more than 15 years of business and entertainment consulting experience. The name was divinely inspired and unlike the old woman in the shoe, we know what to do. We provide workable and usable supports to corporations and individuals no matter how big or small the project. BM: You are a renowned author, activist, and founder of the So’ Feet on the Move Radio Show. How do you manage to wear so many hats and still maintain a work-life balance? KL: First of all I am a bit of a recluse, believe it or not. With this personality, I find it easy to work masterpieces overnight and have the world wake up to them. But seriously, I have a high metabolism; a heart of gold; and the willpower that if I could bottle it up; I could actually sell it. BM: I also find it quite remarkable how ‘show host’ can be added to the list of your impressive qualities and talents. Please tell us about the platform for the Ms. Shoe Show. KL: The Ms. Shoe Show is a teach-back talk show that is used to educate and empower the challenged within our communities; to create effective dialogues that foster deference; cultural and spiritual awareness. The empirically based and emotionally sensitive social issues broadcast on the Ms. Shoe Show give our audience an innovative, edgy, interactive and effective approach to inspire, encourage and infiltrate the positive energy of self preservation, pride and greatness into their own communities and lives. BM: What type of impact has the Ms. Shoe Show had on the community or communities in which it serves? How has it impacted social media? BM: If you had one piece of business advice to offer another woman, what would it be and why? KL: Remain patient; persistent and keep believing in you because you are hard pressed to find others that will. BM: Kalima, please let our readers know how they can reach out to you. KL: Please feel free to visit the web site’s contact page. I would be delighted to provide assistance. BM: Great! Kalima, thank you so much for sharing your time with us. It was a pleasure speaking with you and we wish you all the best! Shawn you are the abSOULute best; and Bronze Magazine Rocks! I wish you guys all the best! Thank you Kalima! And thank you for taking the time to inspire so many other women. We wish you all the best! Its been almost a year since we last spoke and I thought that I would stop by to say hello. How is everything going with Bronze Magazine these days? Hello Kalima! Thanks so much for reaching out to me. Things are great, we just launched our spring issue which is available for a FREE download at http://www.magcloud.com/browse/issue/352378. Please let me know if there is anything new you would like to share with our readers and I would be happy to feature you again.